I submitted the following essay to Midwifery Today for the Winter 2012 “Doula Issue.” My friend, an editor at the publication, let me know they could not print it because it discusses elective termination, a subject they do not broach. Midwifery Today has every right to its editorial decisions and perhaps this policy prevents unproductive flame wars amongst its subscribers. 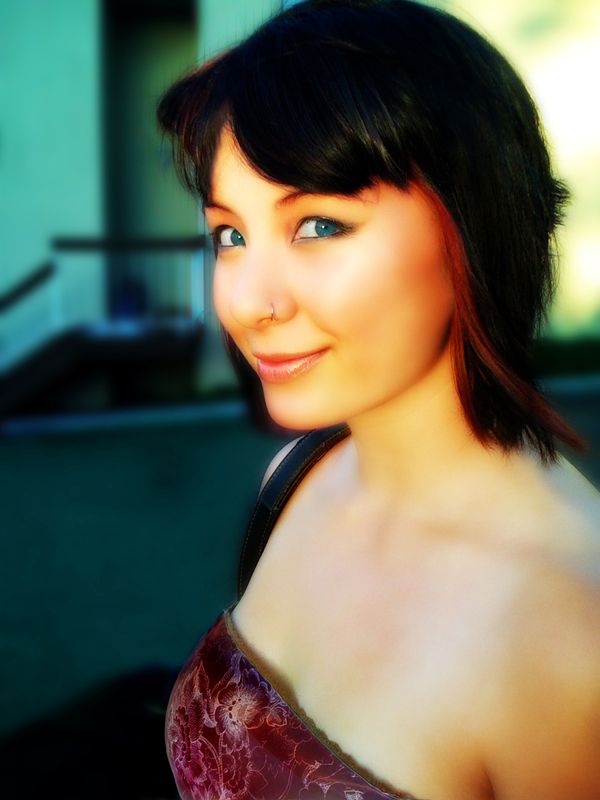 Here is the original essay I submitted, discussing the growing full spectrum doula movement. Full spectrum doulas support pregnant people regardless of the outcome of their pregnancy or their ability to pay. This approach to doula work requires us to peer into the power structures of our society, discover places where insufficient support contributes to human suffering, and find avenues to provide that support. To reach these places, we partner with institutions (i.e. hospitals, clinics, prisons), larger organizations (Planned Parenthood, community-based healthcare), and agencies (adoption, public health). Since 2007, full spectrum groups have established themselves in at least fifteen states to support the spectrum of human pregnancy experience. 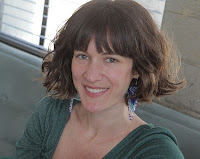 I am a full spectrum doula though I remain wary of the limiting potential of any title. I knew I wanted to do this work before I signed up for my 2009 DONA birth doula training. This is my description of this work from personal experience, as well as a vision for its future. As increasing numbers of doulas are called to full spectrum work, the definition and potential of our profession will change for all of us. Emotionally sustainable full spectrum doula work is open, inclusive and non-judgmental. The full spectrum approach tells us that everyone – from clients we support to staff and providers we work with – is really doing the best they can at any given moment. Shedding assumptions provides a liberating feeling of openness and illuminates the emotional boundaries we navigate as birth workers. I’ve become more aware of the important distinction between someone else’s journey and my own and therefore can more easily give unconditional support. Some midwives and doulas feel it is macabre, even incongruous, to deal both in birth (associated with “life”) and non-birth outcomes (associated with “death,” or even “murder”). Some worry how a broader outlook affects birth movement public relations and messaging. All full spectrum doulas I know constantly work to give doulas a good name. For many staff and providers we work with, full spectrum doulas are the first doulas they have heard of or worked with, and we feel the responsibility of representing the doula spirit of non-judgmental support as authentically as possible. Bringing doula support to places it was previously unknown obligates most full spectrum doulas to work for free, proving our value to gain access. We are dependent on volunteer energy, and the passion and dedication of our volunteers is tremendous. Turnover and burnout are frustrating, persistent realities, but more and more we realize the unique opportunity we have created to become engines of employment in our field. The organizations and institutions we partner with have access to funding about which an individual doula can only dream. Doula support can often help achieve many healthcare and public health groups' goals for what amounts to a bargain. The full spectrum approach must embrace a core tenet of financial compensation, accessed through our established partnerships, with as little headache and administrative cost as possible. We don’t all need to become c-3’s to fundraise effectively. Here are two examples of full spectrum organizations who have found ways to compensate their doulas: the first, partnered with a community healthcare organization in California, developed a relationship with a board member who made a gift which was nominal by the standards of western medicine but easily provides stipends for their doulas. Portland’s Calyx Doulas are the second. Partnered with an adoption agency, doula reimbursement will be a part of the birth-related expenses of birthparents, paid for by the adoptive families. Surmounting socio-economic divisions in our network is crucial. Insisting that our society’s money move toward the work that we do creates opportunities for more diverse populations to consider this as a profession. This overarching goal complements and expands our vision. Most of the full spectrum doulas I know come from some level of privilege and many women who want to do this work cannot for financial reasons. We can all try to take responsibility to create opportunities for them and for all doulas seeking employment. As we feel our way into this new frontier and all it promises, we must treat ourselves with the same patience we try to provide each person we serve. Our growth is dependent on continuous reexamination of what we do – asking ourselves how we achieve greater states of openness, compassion and inclusiveness. 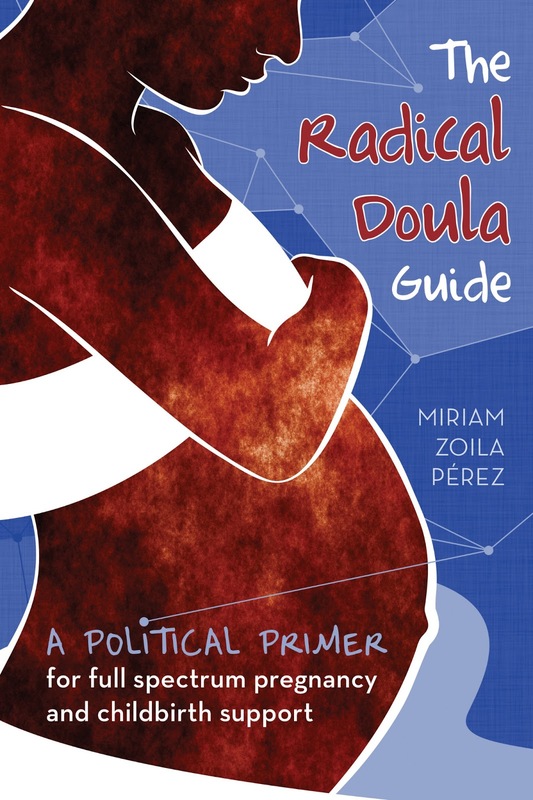 If you are interested in learning more about the full spectrum approach, get your hands on a copy of The Radical Doula Guide: A political primer for full spectrum and childbirth support by Miriam Perez (published in August 2012). “Radical” can be a scary word, but the Radical Doula Guide is not a manifesto, it’s “a starting point to understanding the social justice issues that interface with doula and birth activism.” The RDG addresses these issues from a doula perspective, articulating philosophical aspects of the full spectrum approach. I hope I didn’t lose you at “philosophical” because this Guide is truly readable and relatable for all of us! I strongly encourage you to get your hands on a copy and join the conversation. I feel especially conscious and respectful of opposing viewpoints within the birth community. The full spectrum approach listens to, honors and learns from the concerns of our colleagues who may be opposed to our work. As we pursue growth and expansion for all of us, your voice and thoughts on the matter are important. If you have concerns or words of encouragement, full spectrum doulas are always open to conversation. We are all responsible for the future of our field and for creating space for it in our culture.